Just how lost were we? 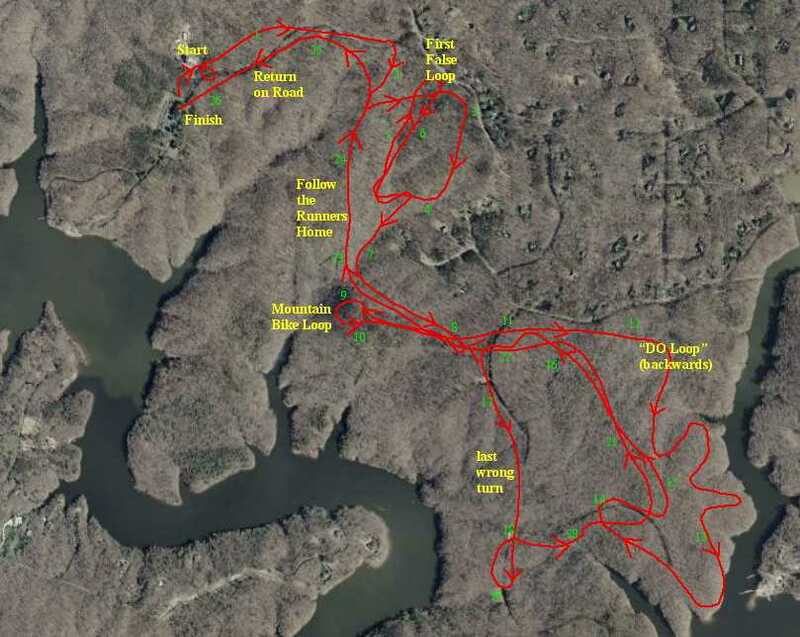 See above for a smoothed and slightly-annotated version of Mary Ewell's GPS record of our path a fortnight ago, when she and I repeatedly went astray on the trails of Fountainhead Regional Park. Faint green connect-the-dots numbers indicate the (dis)orderly route that we followed. Lost in the Woods offers a detailed narrative. It wasn't pretty, but it was quite pleasant!